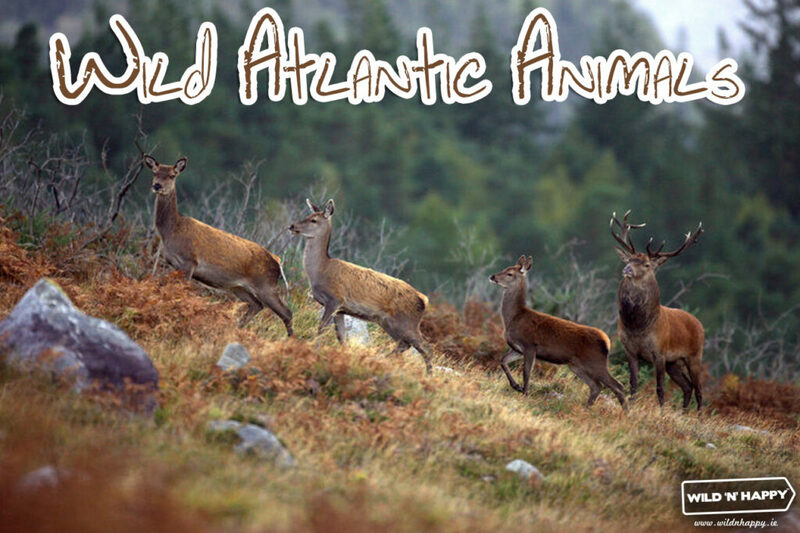 Ireland’s Wild Atlantic Way is thriving with some of the most diverse Irish Animals. If you keep your eyes peeled whilst on tour, you’re sure to come face to face with some of these beautiful animals in their natural habitat. Here is a guide to some of our most common and stunning animals. Red Deer The majestic Red deer are Ireland’s largest land mammal and the second largest deer species in Europe, after the Elk. Usually seen in woodland or grassland areas. Being opportunistic herbivores means they can vary in height depending on the quality of their habitat. However, stags will generally measure 1.5m to the shoulder, 2m in length and weigh up to 250kg. 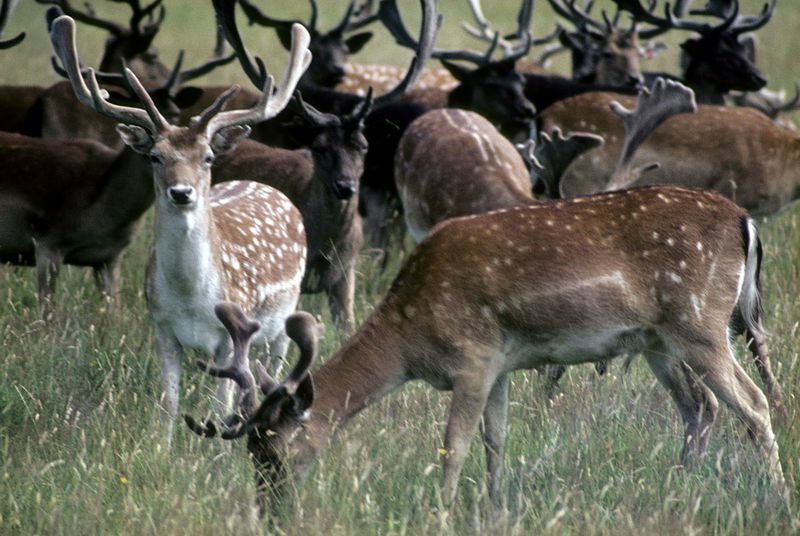 Their summer coat is reddish brown and some individuals may also have white spots on their back and flanks. Their winter coat would be a more brown to greyish colour. Rutting season starts in mid to late September and may run until beginning of November. During rutting season, the stags will become more territorial and vocal, letting out loud deep-throated roars to warn off other males. They will often determine dominance by fighting, locking antlers aggressively and attempting to push each other backwards. Each clash ends by the withdrawal of the weaker stag. 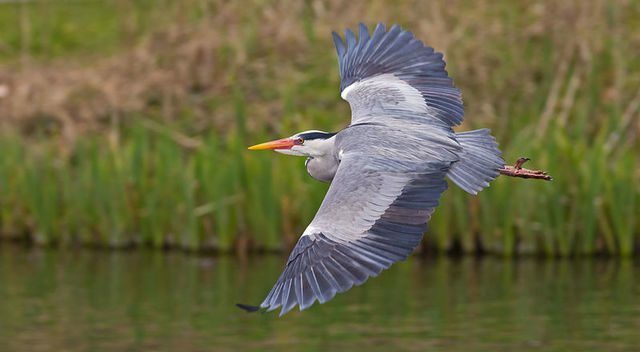 Grey Heron You will often see the Grey Heron around wetlands, estuaries and along rivers throughout Ireland, all year around. They blend into their natural environment very well so you will have to really keep an eye out to spot them. Their grey plumage and slender, long necks makes them unmistakeable. You will often see them standing alone, beside a body of water, waiting to strike out at unsuspecting prey (generally fish) with their formidable spear-like bill. They eat fish, amphibians, small mammals, insects and reptiles. Atlantic Grey Seal The grey seal can be found all along the shores of the Atlantic Ocean. Their colour varies from blackish with white specks and markings to whiteish with black markings. Pups are very cute and are born with a fluffy white/yellow fur. 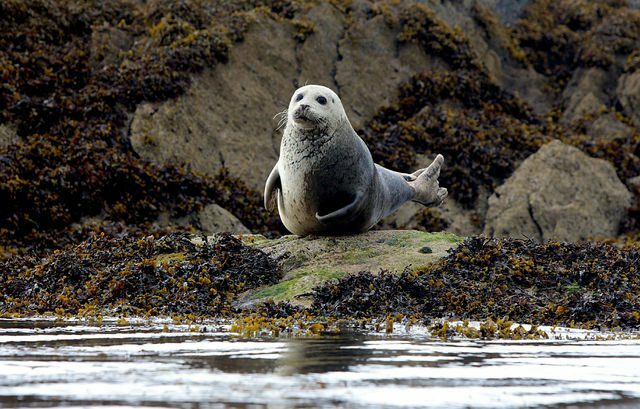 Grey seals eat a wide variety of fish, squid, octopus, crustaceans and shrimp. Males (bulls) are much larger than females (cows) and leave our largest land mammal, the Red deer, dwarfed. Bulls will measure 2.5 – 3.3 metres long and can weigh up to 300kg. You are most likely to spot a grey seal as just a head bobbing above the surface of the water as they come out of the water for a look around. -They can look very much like a human bobbing up and down in the water, which is probably the cause of so many stories of mermaids and mermen in years gone by! Shag This medium sized seabird is resident along the entire Irish coastline. It is mainly completely dark in colour with a long body and neck. They have a long, narrow, hooked bill and dark webbed feet. An adult breeding bird will have a green and purple gloss to it’s mainly black plumage. 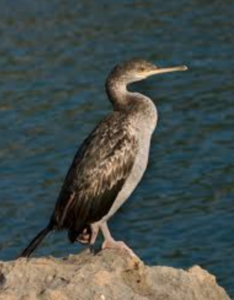 The shag is very similar to the Cormorant, however, you are more likely to see the Cormorant inland. Shags (who can stay underwater for an extraordinary amount of time) capture their prey by chasing it underwater, propelling themselves with their powerful webbed feet. They can catch fish bigger than you would expect and can keep a tight grip of them in their sharp edged bills. You will often see Shags sat out on a rock at the end of a fishing expedition, with their wings spread out to dry.